After yesterday’s discussion of “Goodfellas,” the only natural choice for TV Tuesday had to be HBO’s original series “The Sopranos.” The film shares several actors with the Martin Scorsese masterpiece. 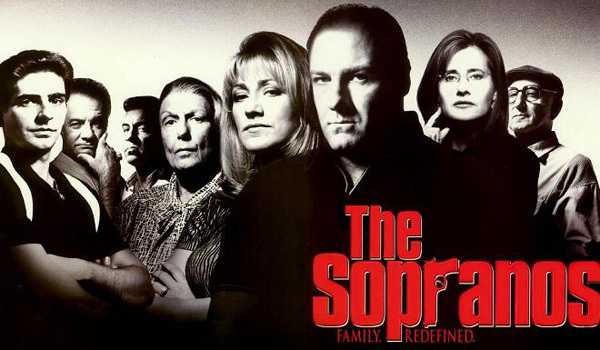 Created by David Chase, the show follows New Jersey Italian-American mobster Tony Soprano (James Gandolfini) as he tries to balance his criminal empire and his personal life. “The Sopranos,” which ran for six seasons and 86 episodes from 1999 through 2007. The ensemble cast included Edie Falco, Lorraine Bracco, Michael Imperioli, Jamie-Lynn Sigler, Dominic Chianese, Tony Sirico, Steve Van Zandt, and many more.